1,773 total shares. Be the next! 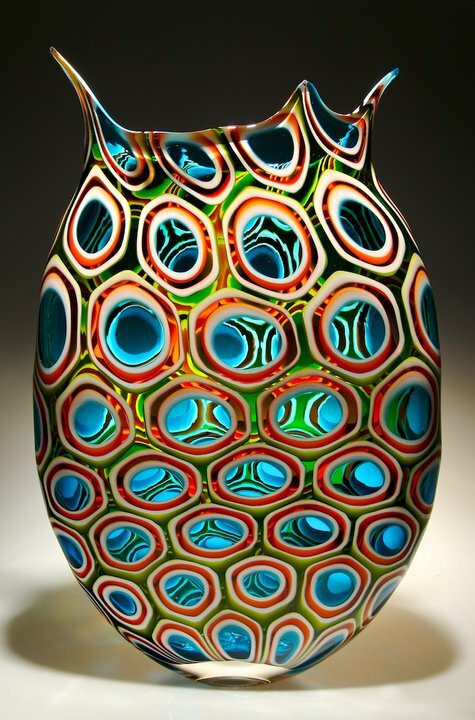 David Patchen was born and raised in New York and studied at Pilchuck Glass School in Seattle, Washington. 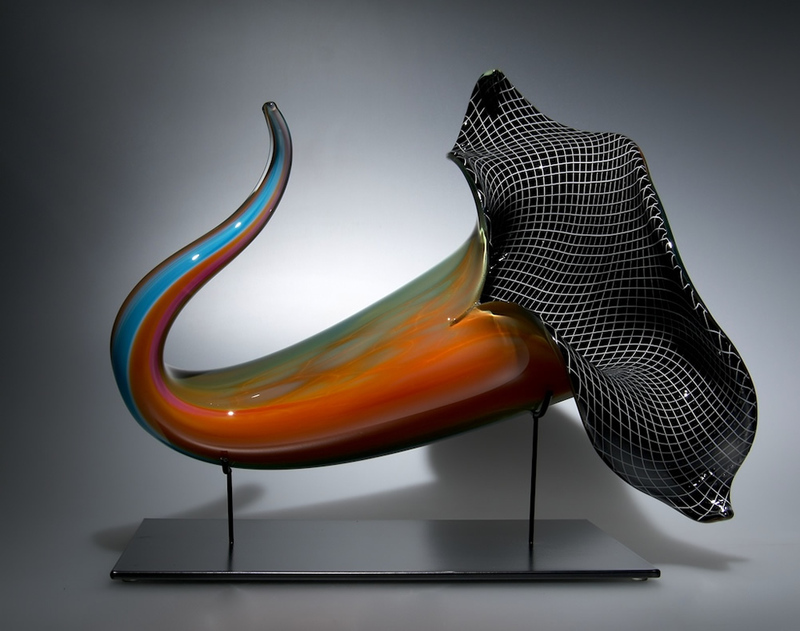 He describes glass as a seductive as well as challenging and particularly unforgiving medium. Its ability to hold elements in suspension, bend light, and layer color in three dimensions, not to mention its mallability in a liquid state, is what first attracted Patchen to glass. His latest work is an exploration of detailed patterns, colors and transparency, all created through multi-layered cane and murrine. Each project begins with meticulous planning and designing of colors and patterns. He starts by pulling the cane and murrine, then carefully composes these elements to design the final work, all days prior to blowing it. Patchen is Chairman Emeritus of the Board of Directors at Public Glass and former member of the Glass Alliance of Northern California’s board of directors. In addition to being exhibited nationwide, his work is also collected in Canada and Europe. Aesthetically I wanted the precise cross-hatching (a technique called 'reticello') in this piece to contrast with the organic curves in the piece as well as suggest of bending in the space/time continuum that is theorized astronomically. I have taught minimally in San Francisco but rarely since I don't have the time. Why do you like making glass art? Awesom-est I've ever seen !! Man, I love this piece. And the Cornicopia (sp) also shown on the page. as he soars to some of the finest gallery's in the world. Artist a Day chose well, very much deserved honor. I find your art work mesmorizing, unique, and breathtaking. Love your new glass piece (top). I am a real fan of yours. I already own a piece from the series shown in the lower picture. Look forward to getting one of your new pieces. your work leaves me breathless, they must be even more spectacular to be seen in person,the light show must be fantastic. Bravo!